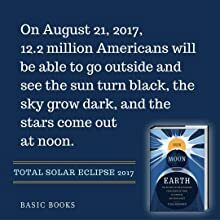 One of Amazon's Best Science Books of 2016On August 21, 2017, more than ten million Americans will experience an awe-inspiring phenomenon: the first total eclipse of the sun in America in almost forty years. In Sun Moon Earth , astronomer Tyler Nordgren illustrates how this most seemingly unnatural of natural phenomena was transformed from a fearsome omen to a tourist attraction. From the astrologers of ancient China and Babylon to the high priests of the Maya, Sun Moon Earth takes us around the world to show how different cultures interpreted these dramatic events. Greek philosophers discovered eclipses' cause and used them to measure their world and the cosmos beyond. Victorian-era scientists mounted eclipse expeditions during the age of globe-spanning empires. 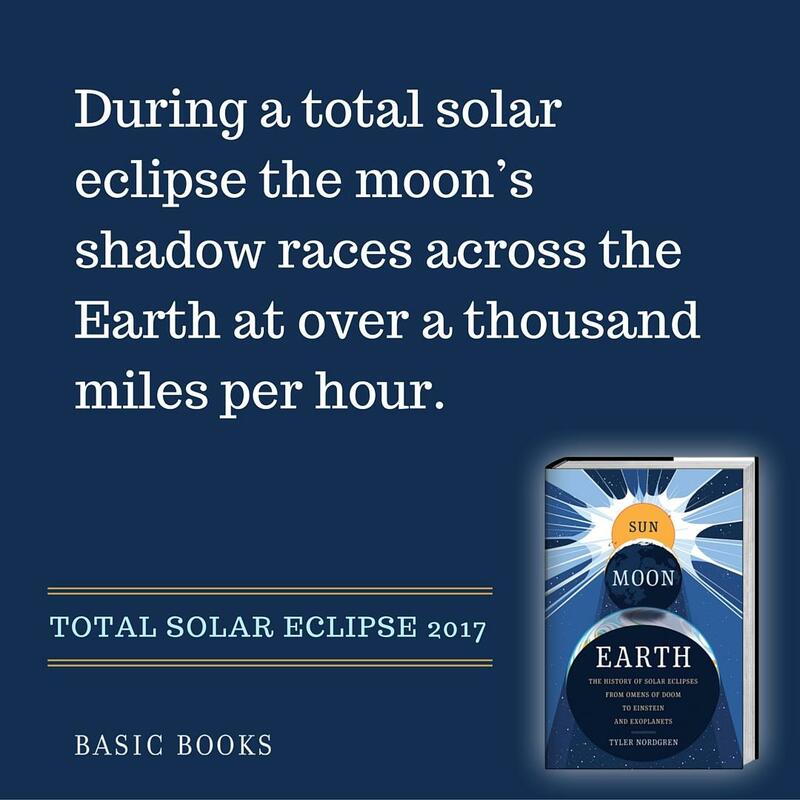 And modern-day physicists continue to use eclipses to confirm Einstein's theory of relativity.Beautifully illustrated and lyrically written, Sun Moon Earth is the ideal guide for all eclipse watchers and star gazers alike. 5.0 out of 5 starsA terrific book on Solar Eclipses. It informed and enhanced our family's experience. This book was tremendously engaging and informative. I loved it. Our family and some friends drove hours and hours to an area many states away within the path of totality in Andrews, North Carolina. After seeing the Total Eclipse of August 21, 2017 in a CLEAR sky, we're hooked and are longing to see another one. It was amazing, thrilling, eerie, uplifting, awe-inspiring and spectacular. I know I am being redundant, but words are inadequate! People cried, it was that beautiful. I also found it humbling. Go, science! Thanks to Tyler Nordgren's fine book and also NASA's website, we knew what to watch for and we paid very close attention. In just 2 minutes and 38 seconds it was over. The temperature had dropped about 15 degrees. After it was over, we were still awestruck and a bit dazed by what we had just witnessed. There was an intense longing for a repeat performance—a kind of odd sense of abandonment—Eclipse, come back! I now understand why people "chase" total eclipses. It's worth a journey, if it's feasible, to have such a rarefied experience and to share it with others. Hopefully our family will all be together to see the next total eclipse over the US on April 8, 2024, which will be visible in totality in a pathway much closer to our home. The great illustrations and photographs, scientific information, and history and folklore included in this book enriched our experience. I am hooked. Thank you, Tyler Nordgren, for your wonderful book! 5.0 out of 5 starsAn eclipse journey in good company. Sun Moon Earth is both intelligent discourse and a work of art. Not entirely perfect, some points I disagree, but nevertheless an excellent and timely book. The author portrays science and eclipse history with the concise velocity of a docent on familiar ground. I find that refreshing. I like it even more that the narrative has a quality of character that reminds me of John Steinbeck or Farley Mowat. The first virtue let me read Tyler Nordgren's eclipse book rapidly. The second one makes it worth reading again. This book is vade mecum for the total solar eclipse journey! What a marvelous book! SUN MOON EARTH explores how eclipses have influenced mythology, religion, and science from prehistory to modern times. As an eclipse chaser myself, I appreciate the way Tyler Nordgren vividly conveys the thrill of totality. 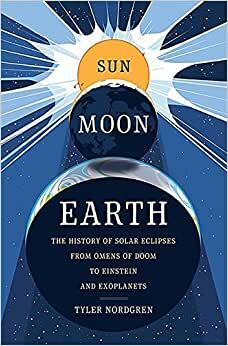 Far more than a book about astronomy, this is an eloquent and intelligent examination of the scientific method and the march of human knowledge, as told through the story of eclipses. “Astronomy is made possible, in part,” Nordgren writes, “by the shadows that span the stars.” Beautiful. I gave this book to my hubby before we went to see the 2017 Totality. He enjoyed reading it outloud to our family but I was disappointed by the books for a couple of reasons. First this isn't so much "history" as it is introductory science. 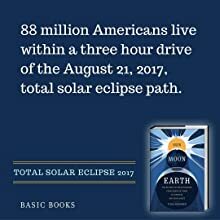 That's fine but I was expecting most of the chapters to talk about how solar eclipses have been seen by humans and inspired them in art, religious, science,etc. I wanted to learn more about events in human history impacted by solar eclipses in more than the one chapter. Second I think the description of what the totality would like like was misleading. More information about environmental and weather's influence on what we would see was needed because we ended up being disappointed. 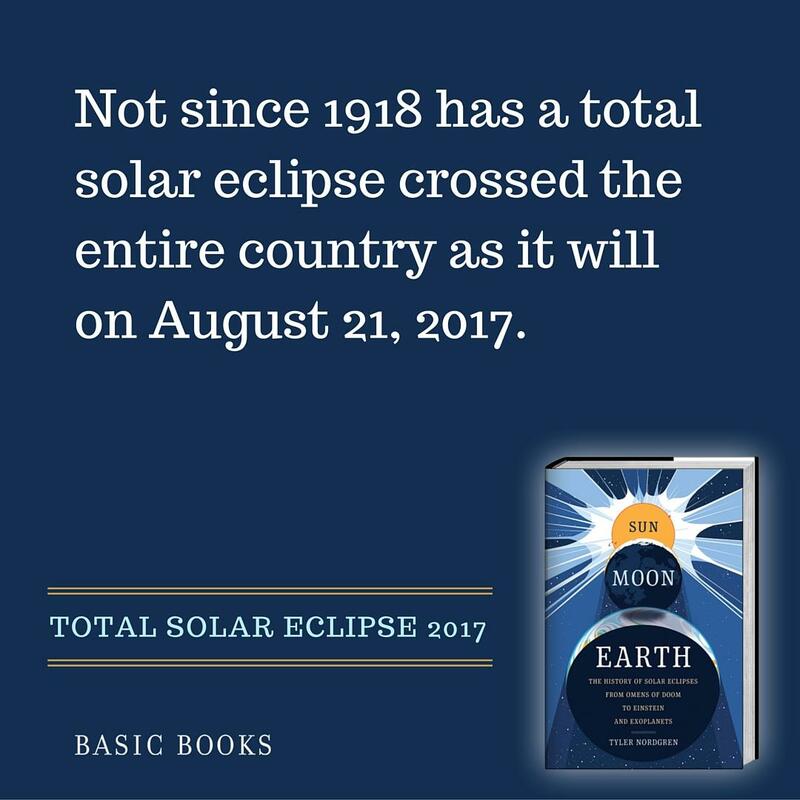 I very much enjoyed Tyler Nordgren's book on the history of eclipses. 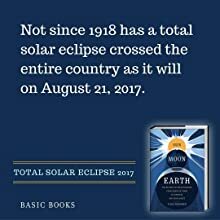 It is a wonderful and very complete look at not only the hows & whys of eclipses, but also the roles they have played across cultures, in scientific research and much more. 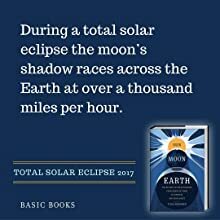 It is a useful book not only for someone like me who teaches astronomy, but also for anyone who just wants to learn about eclipses and how to see them. 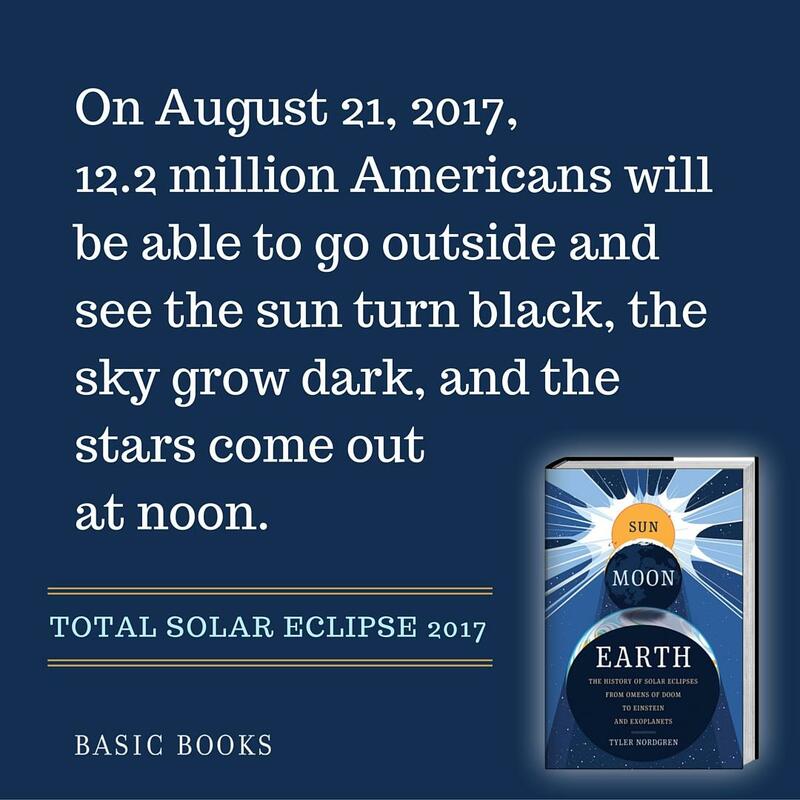 This especially important as there will be a total solar eclipse cutting across the U.S. in August 2017.